A good financial plan takes into account the 4 Ds (death, disability, divorce, debt) and plans around them. Doug and John Ross, estate planner and elder law attorney, stress the importance of planning for the unexpected. 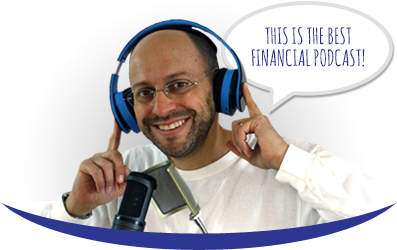 John is a co-host of the weekly podcast Big Picture Retirement. He shares some insights on what many people fail to do when preparing for retirement and old age. Chief among these failures is not choosing a power of attorney (POA). John explains what the most important aspects of retirement planning are, and he lays the groundwork for planning for retirement. Doug presents a checklist called How You Can Get Control of Your Money (When You Have Money). He covers the common stumbling blocks people face when managing their money. If you can’t seem to get a grip on your finances, then this download is a must-read. Free Download: How You Can Get Control of Your Money (When You Have Money). 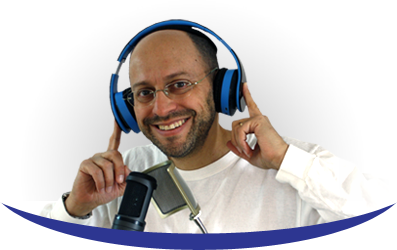 Learn more about John Ross at Aging Insight and the Big Picture Retirement podcast. Watch Does Your Retirement Plan Account for the Possibility of Disaster? on YouTube. John Ross, an estate planning and elder law attorney, gives advice on how and why to plan your estate while you’re still capable. Douglas Goldstein: I'm very excited to have on The Goldstein on Gelt Show,John Ross. 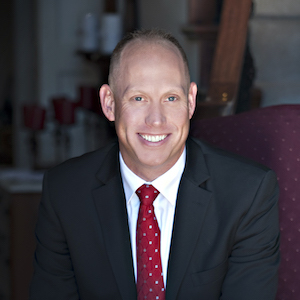 He is an estate planning and elder law attorney from Texas. He’s also a former U.S. marine. Actually, you may know him because he's got a show called the Big Picture Retirement and his partner there is a fellow named Devin Carroll. Devin is a former guest on The Goldstein on Gelt Show. If you missed that interview, you can check it out on YouTube. Go to YouTube and look up Goldstein on Gelt and Devin Carroll. John, what I understand is you really are the light of this relationship; the light of the Big Picture Retirement show. Isn't that right? John Ross: I certainly think so. Absolutely. Douglas Goldstein: We won't tell Devin you said that. One of the things that I know you could talk about in a big way is estate planning. However, a lot of the times people say, "Estate planning! What does that have to do with me?" And I tell them, it goes all the way back to the Bible, right? Doesn't it go back to the story of Jacob and Esau? John Ross: I often talk about the fact that one of the most common mistakes we all make is the failure to plan. We just don’t do it. We know it's coming, but we just don’t do it. Probably one of the best examples of that is Isaac, who had always intended to bestow his blessing on his oldest boy, Esau, his favorite; the big hairy Esau. But instead of really going in and planning for that and setting things in motion, he waits until he's very old, anticipating death at any moment. He's blind, essentially bedridden by the time he actually gets around to saying, “Hey Esau, go out there, hunt me some meat, and let’s have one big meal. I'm going to bestow my blessing on you.” Of course, Esau takes off as the dutiful son. Of course, Jacob is not a big hairy guy like Esau. Rebecca’s solution to this is wrapping Jacob up in some goat fur and sending him in there. In our practice in dealing with the elderly, we talk about a stage in life where you're frail and vulnerable, but not incompetent. You still have your mind, but because of your frailties and your age, you're easily manipulated, and that's essentially what happens here. Jacob goes in, and all Isaac can do is reach out and touch that fur, and sure enough, he bestows his blessing on Jacob, thinking it was Esau the whole time. Douglas Goldstein: And, literally, the rest is history. So, had you been, John, the elder law attorney who Isaac hired at that time, what advice might you have given him? John Ross: First of all, I probably would have hoped that he would have come in well before something like this had happened. We would have talked about essentially planning for three phases in life. The first phase is incapacity - setting things up that are going to allow whatever your wishes to be. You're protecting yourself from yourself, and also that you've got people that you can trust to follow your wishes, in a position that they can assist you if you become incapacitated. Most people have a tendency to forget that part of it. They jump straight to a will. Here’s what I want to happen when I die, and they forget that whole period of life and the incapacity that goes with it. So, we would have started there. We then would have talked about that transition at death. Then the third phase of this would be all of the stuff that again, people have the tendency to hope for good things for their heirs. They want their kids to be healthy, happy, well married, and financially stable. And that's all great – that's what we hope for. What I encourage people to do, though, is plan for what you don't want to happen, which we generally refer to as the 4Ds: death, divorce, disability, and debts. That’s where the real value in the planning comes in, as you can plan for what you don’t want to happen. Douglas Goldstein: I am a careful planner and a big believer in that. And he says, “I don't have to deal with this now.” How do you address the kind of client who doesn’t feel he has to deal with it now? John Ross: I think the first thing is just to point out some very real world examples that people have often experienced. You have to get your wife on the phone. She has to then turn around and give permission for you, for something as simple as just paying the bill. Most people have had that experience, whether it's the electric company, the gas company, the phone company, or whatever it is. That is something they can immediately relate to. Douglas Goldstein: Wow! Man, you're good at this. My day job is that I'm a financial advisor, so I specialize in people who live outside the United States, and basically they live in Israel. Quite frankly, a lot of them are retired. I usually explain that the reason we work mostly with retired people is they've been saving their whole life and they now have money to invest. That’s a very good way of explaining to someone, and the fact is, as soon as you start telling the story, I'm thinking the same thing happens to me, for my company. We’ve got a company here, and when the phone company wants to speak to us, they won’t speak to the guy, my office manager who is in charge of this. They somehow think they need to speak to me even though I have no idea how the phones work in the office. I like that as an example. Now let's say you explain this to someone. You say to the client, "We're concerned about your incapacity." What is the number one legal document that he should put into place in order to protect himself and his family? John Ross: For most people right there, we're going to be talking about a financial Power of Attorney. This is a written document that says, one, here's the person or people that I want to be able to handle these things for me, and then essentially get into all of the actual details of what powers you want them to have. Is it just something as simple as handling the phone company and the electric company, and the insurance? Or does it need to be much more thorough and start getting into things like intangible assets? Being able to deal with Apple and your iTunes account, for example. Douglas Goldstein: John, you're a lawyer, and in my opinion, lawyers can think at a very high level. What you're saying is that one should have a legal document you can bring anywhere and say, “With this legal document, I have the right to speak on behalf of my wife, or my father or my friend,” and that should allow you to do it. If you go to a bank or a brokerage firm and you say, "My brother assigned me his power of attorney, and here's the document. Now, I need to liquidate this account and wire the money somewhere else,” they’re not going to do that right away. They’ve got real procedures and systems in place to protect against fraud. Is it an easy system, or is there an easier system you have in place, where it can go a little more smoothly? John Ross: For the vast majority of people, having a financial power of attorney is a good idea. When you really want to start getting into some more advanced planning, you can think about having your financial assets in a trust. That trust then names successor trustees; people who are in charge of it. The trustee of a trust is much like the president of a company. Whoever that president of the company is, they have access to bank accounts, to real estate, and access to all the company's assets. So, if I have a trust that allows me, as the trustee, to do whatever I want, if I become incapacitated, then my good friend Doug Goldstein steps in. Then you should be able then to walk into that bank with a copy of the trust and say, “Here's the trust. I’m now the trustee” and at that point you can do whatever. Douglas Goldstein: I just want to give an example to let people know that a) I agree with what you're saying, because I think it's very important, and b) one of the things that people can actually do is speak to their bank or their brokerage firm because this is something we do a lot. I always tell clients that it's great that you have this document, the power of attorney, but our company itself has its own trading authority form or power of attorney form. Why don't you sign that as well? Because that will work all the time for our company, and at least you have one thing covered. You're not going to have to go and fight with the compliance department, because ultimately they're going to have to accept the document and it just takes time. My feeling is that it's so important to have the document, but there are other tools you can use along the way to make sure the system moves smoothly. John Ross: Absolutely! It's a good idea, especially while you're still capable of doing these things. Again, going over to your financial advisor, going over to your bank, you may find out at that bank, for example, that they don’t accept powers of attorney. There's one here in my hometown that just refuses to accept powers of attorney. Douglas Goldstein: What are you going to do? Sue them? It's crazy! You may be able to force them, but who wants to do that when someone is sick and you want to get some money to pay the doctor's bills? Those sort of things are always a good idea to do. The more you can do on the front end, the smoother it's going to be on the back end. Douglas Goldstein: Absolutely! It all goes back to planning. Hey, John, I see you. We planned way too many questions to ask you this episode. I hope I'll have you back to talk about more. In the last few seconds, just tell people, how can they follow you and follow your work? John Ross: As you mentioned, my co-host Devin Carroll and I have a podcast called Big Picture Retirement, which you can find on iTunes and all of those good places. I also have a separate company called Aging Insight at aginginsight.com. On that website, we also have a television program. We have a radio program that we do, and we also publish a magazine that discusses things like powers of attorney, trusts, and special needs planning. There’s lots of good stuff in there and all of that's available on that website. Douglas Goldstein: John Ross, thanks so much for taking the time. John Ross: I appreciate it.